There is no time limit at all! 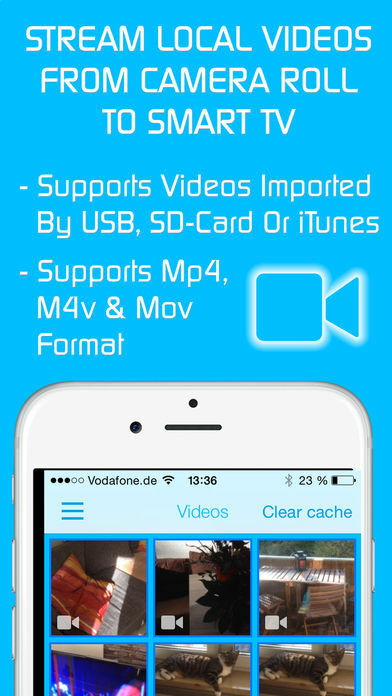 You can watch videos of 2 minutes or 2 hours or even more. Just open Video & TV Cast, navigate to a website, wait for link detection and send the video with a single tap to your Samsung Smart TV. The discovered link will be shown below the browser. A tap on the link will start the show. You don’t need to install a big media server like Plex or any other third party software. 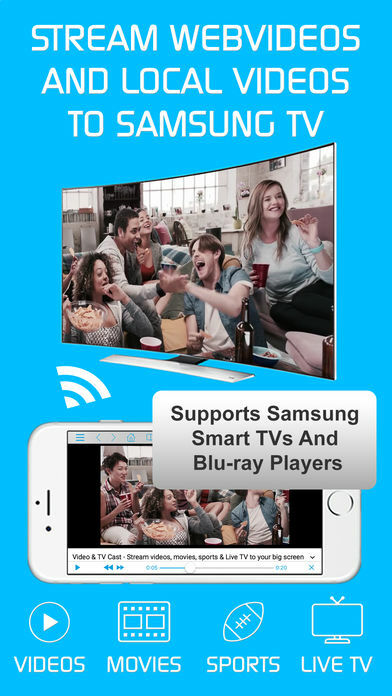 * To enable video casting please open the Samsung App Store (Smart Hub) on your TV or Blu-ray Player, search for ‘TV Cast’ and install the receiver app. 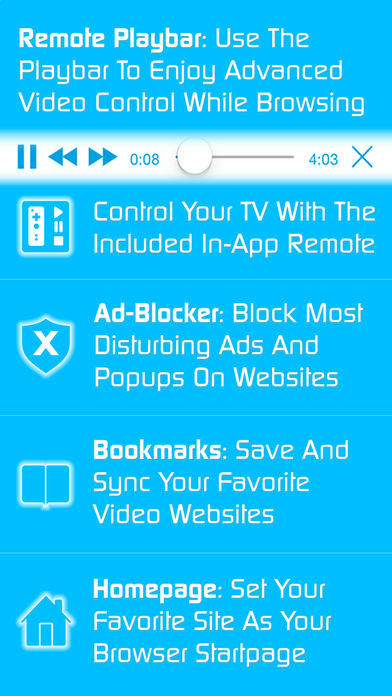 * Remote Playbar: Use the Playbar for advanced video control while browsing, including video scrubbing, forward, rewind, play, pause, stop. The playbar works on all Samsung Smart TVs and Blu-ray Players. 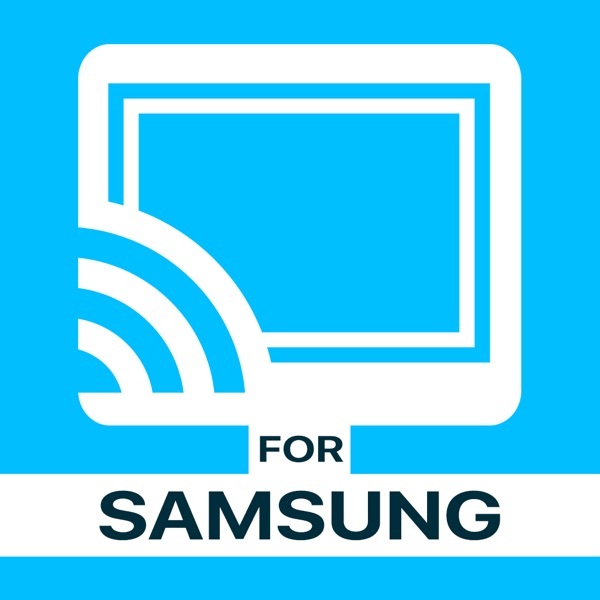 You can also use the included TV Remote for basic video control (play, pause, stop, forward and rewind videos) and navigating in Samsung Smart Hub. The TV Remote currently works on 2010 – 2013 TVs.